Just a quick post of the first semifinal results. Tomorrow the second semifinals will go up. 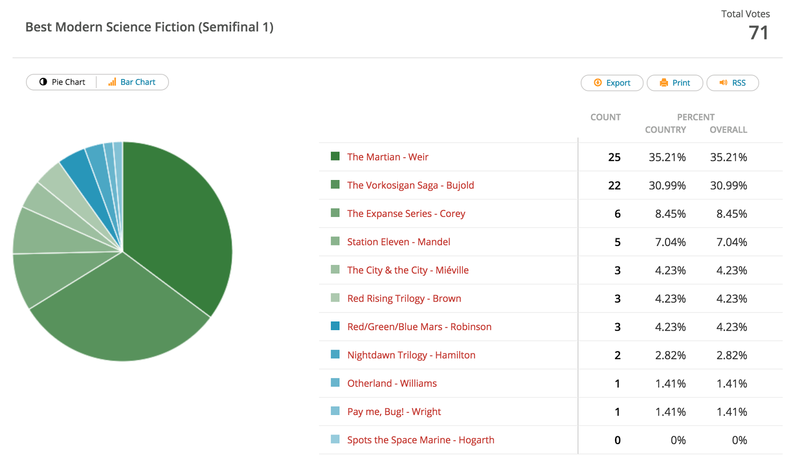 Because of the three way tie for fifth place, all the three-vote results will be going on to the finals.